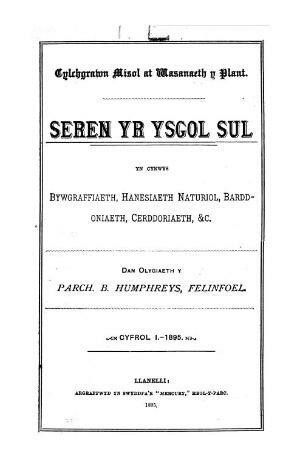 A monthly Welsh language religious periodical intended for the children and young people of the Baptist denomination. The periodical's main contents were religious articles, articles on the natural world, biographies, stories, poetry and music. Amongst the periodical's editors were the minister Benjamin Humphreys (1856-1934), John Lewis, and the minister David Bowen (Myfyr Hefin, 1874-1955). Associated titles: Y Seren Fach (1954); Antur (1966).